DETROIT (Reuters) -- A former General Motors engineer and her husband were found guilty of conspiring to steal the automaker's trade secrets for hybrid and electric vehicles. Shanshan Du, 53, the former GM employee, was ruled guilty of conspiracy to possess trade secrets without authorization and two counts of unauthorized possession of trade secrets. She was found not guilty of three counts of wire fraud. Du's husband, Yu Qin, 51, was found guilty on all six counts, as well as a seventh count for obstruction of justice. The trade secret counts carry a penalty of up to 10 years imprisonment and a $250,000 fine. The wire fraud counts and an obstruction charge each carry a penalty of up to 20 years in prison and a $250,000 fine. Sentencing will occur in February 2013. The jury of nine women and three men deliberated for less than a full day after the case was sent to them late on Thursday. The trial in U.S. District Court in Detroit began on Nov. 5. Du and Qin were charged in 2010 in a seven-count indictment with trying to steal GM trade secrets related to hybrid vehicles to pass on to China's Chery Automobile Co. Attorneys for both Du and Qin argued the documents in question were not trade secrets. "There were no 'trade secrets' involved in this case. We are sorry the jury did not understand that and we hope the court or the court of appeals will set aside this verdict," Frank Eaman, Qin's attorney, told Automotive News, a sister publication of Automotive News Europe, on Friday. Du's attorney declined to comment. The case is one of more than a dozen brought in the past three years by the U.S. Justice Department alleging defendants of Chinese ancestry or citizenship sought to take trade secrets from U.S.-based companies for use by the Chinese government or businesses. In October in Chicago, a former software engineer for Chicago-based CME Group Inc., the world's largest derivatives exchange, pleaded guilty to charges of downloading more than 10,000 files containing source code from his employer to support trading activities in an exchange in China. In September in Newark, New Jersey, a native of China who worked for L-3 Communications Holdings Inc.'s space and navigation division was convicted of transporting stolen property and possession of trade secrets related to precision navigation devices. Qin and Du, who worked as a GM engineer, were accused of taking confidential GM information on hybrid technology and trying to pass it to Chinese automakers through a small firm they owned called Millennium Technology International, according to court documents. 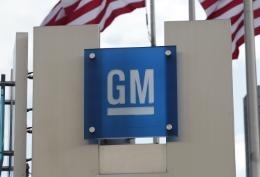 Du was accused of copying thousands of GM documents to an external hard drive five days after the automaker offered her a severance agreement in January 2005. She left GM's advanced technology group in March 2005. In August of that year, Qin and Du proposed a joint venture on hybrids to China's Chery in a series of emails, according to court documents. Then in November 2005, Qin, who had been working as an electrical engineer in Troy, Michigan, applied for jobs as a hybrid engineer, claiming on his resume he had invented some of the stolen GM technology, according to court documents. The couple were required to surrender their U.S. passports and cannot leave the Detroit area without court permission. GM declined to comment on the verdict.